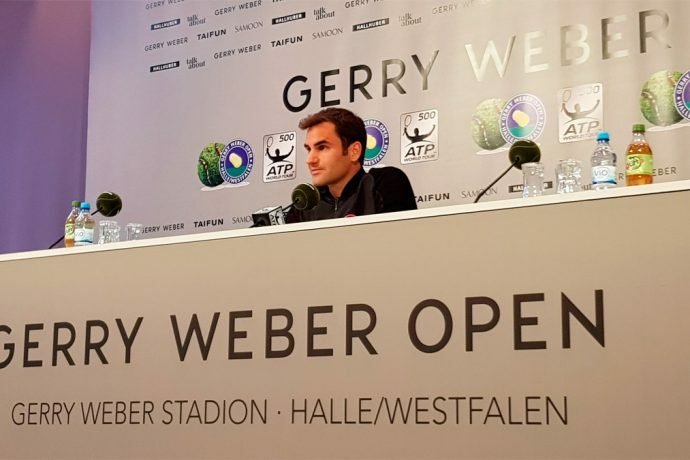 The 25th edition of the GERRY WEBER OPEN in Halle (Westfalen), Germany concluded on Sunday as superstar Roger Federer won the singles competition in front of a packed Center Court. The Swiss maestro outplayed Germany’s Alexander Zverev 6:1, 6:3 to claim his ninth GERRY WEBER OPEN singles title. Lukasz Kubot and Marcelo Melo won the doubles title with a 5:7, 6:3, 10:8 win against the Zverev brothers Mischa and Alexander.